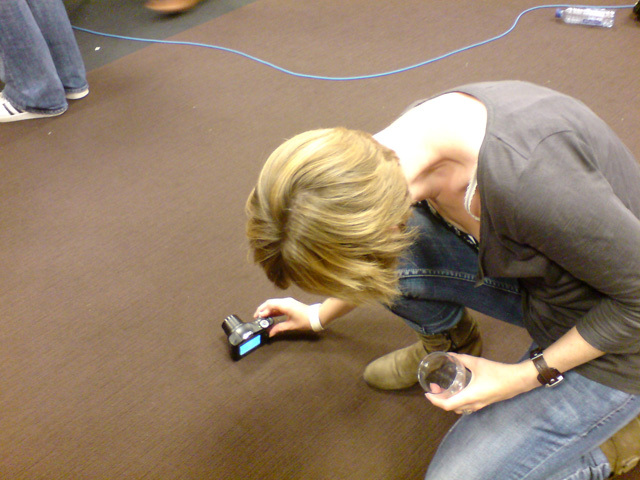 Karin Ramaker is taking a picture of…well I guess feet or shoes, at a freelance gathering she organised with a couple of other people. The picture is probably on her blog somewhere. Karin is heavy in to blogging and blogs 24/7. Bless her. Check out her site: met-k.com.